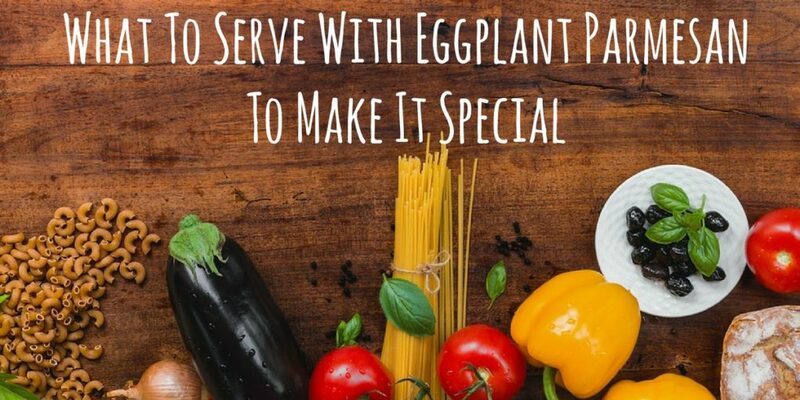 What To Serve With Eggplant Parmesan To Make It Special? These are purple vegetables. They are exotic and can be used to make a family-friendly meal. The kids can be served the eggplant parmesan. This will introduce the kids to the wonders of the eggplant. The eggplant parmesan is layered like the lasagna. The eggplant cannot be eaten alone. This is because it is entirely cheese and the eggplant. The following information will help us to know what to serve with eggplant parmesan. This can be served over noodles like the spaghet﻿t﻿i, egg noodles, the penne, and others. 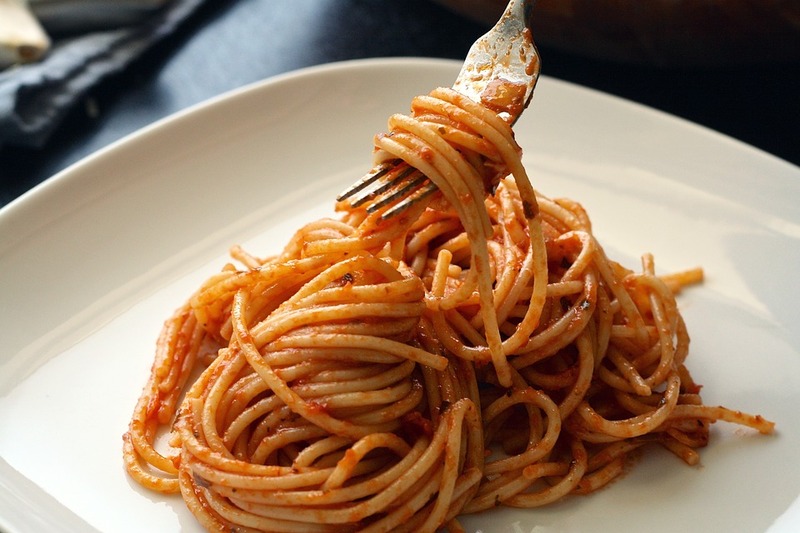 to get more fiber, ensure that you use the whole-wheat noodles. You can also add garlic bread on the side. You can use butter on one side of the bread to reduce the amount of fat. Olive oil can be used instead of the butter. Eggplant parmesan is entirely made of cheese and eggplant. But you can serve it with other vegetables with tomato sauce. Choose a different color of vegetables and use them as the main dish. You can use green salad that has the Italian toppings, steamed broccoli, or the asparagus. After the eggplant parmesan meal, you can serve a light dessert. You can try ice cream with sliced strawberries, ricotta cheese with the orange zest fruit pies, coffee with the biscotti, or granita. 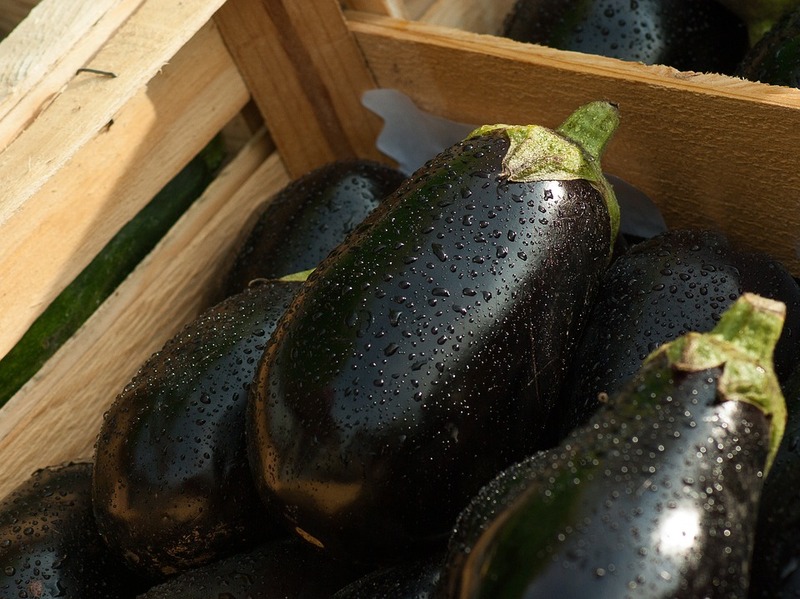 Remove the ends of the eggplant and slice them into ¼-inch rounds. You can peel and salt them if you want. ​Lay them on a paper towel in layers. Weigh them down with a plate to remove the excess water. Allow them to stay for about an hour. ​Slice the tomatoes into quarters and put them in a bowl. Toss them with 2 tablespoons of hot oil, pepper, and salt. Roast them slightly in the oven for about 15 minutes at 450 degrees. Use the third bottom oven. ​Broil the tomatoes for 5 minutes and set them aside. ​Heat the oil and sauté the garlic and onion in a saucepan that is heavy and large. ​Add the roasted tomatoes to the onions and sauté for about 5 minutes more. ​Add the dry herbs, a can of tomato paste, and ½ cup of water. ​Add the red wine and the parmesan rind, mix well to combine. Simmer for about 30 minutes. Remove the towels from the eggplant and brush them to remove the excess salt. ​Mix the 2 eggs with the milk in a bowl to make an egg wash. Place it near a stove. ​Put the flour in a bowl and then add some pepper and salt. Set it near the egg wash.
​Set a plate that is lined with paper towels on the other side of the stove. These will be used to wipe the excess oil from the eggplant slices. ​Heat some oil in a sauté pan about ¼ -inch deep on medium high. ​Dip the eggplant slices in the egg wash first and then in the flour. ​Lay them in the oil and fry them for about a minute and flip them. Ensure that they are nicely browned. Place them on the paper towels to blot them dry. Repeat the procedure until all the eggplant slices are cooked. ​Place the fried eggplant slices in a baking pan. Line them properly without overcrowding. 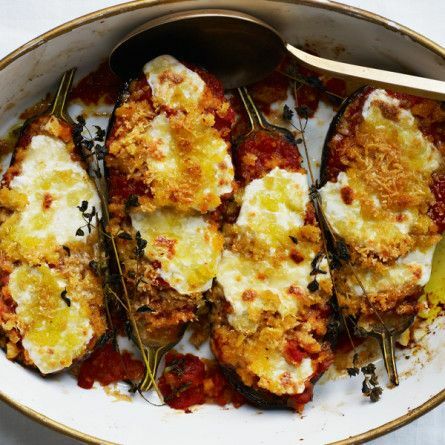 ​Spread half of the tomato sauce over the eggplant and add half of the mozzarella and parmesan on top. Repeat the procedure for the rest of the eggplant, cheese, and sauce. Place them in the oven and bake for about 45 minutes. The top should be bubbly and brown. The eggplant parmesan can be served alone. This is because it is a heavy meal. But to make it special, serve with a side dish. You can choose the noodles, desserts, vegetables or a salad. You can also serve it with garlic bread. What do you serve with eggplant parmesan? Please feel free to share in the comments section. 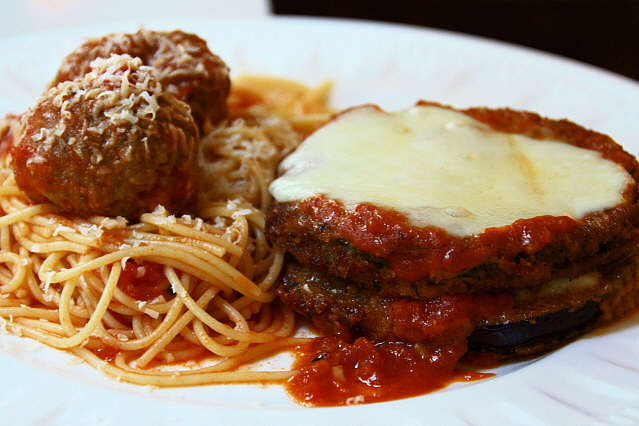 The eggplant parmesan recipes use cheese and grease. You can easily modify the recipes at home. You can bake or fry the eggplant slices. Reduce the amount of fat by using cheese that is made from the low-fat milk. You can also use less cheese. ​You can skip the breading process. The eggplant will be delicious still. After baking, add the flavor and mix with a ranch seasoning mix with the cheese.